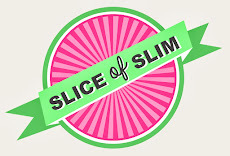 Slice Of Slim: Hot Off The Press NEWS : Blogging for Gemini Fashion and a few thoughts on body image! Hot Off The Press NEWS : Blogging for Gemini Fashion and a few thoughts on body image! In the world of blogging, you never quite know where you might be going next. Gemini Fashion, got in touch with me to see if I'd like to be a regular contributor of my low fat Slice Of Slim recipes on the blog section of their brand new website. Gemini is a fabulous triple bay-fronted shop right in the heart of Stratford-Upon-Avon. They house an array of inspirational brands with offerings from companies such as Great Plains, Sandwich and Avoca to name but a few. They carry a large variety of styles to suit all tastes, shapes and sizes and helpful, knowledgable staff to advise you if you wish. They have just launched their new website which is fresh, inspirational and informative. It's packed full of details of current trends, offers, lifestyle tips and of course an online shop so you can purchase their gorgeous stock wherever you live! They invited me to a styled photoshoot so that they could show me their Spring/Summer 2015 ranges and introduce me as their new blogger on their website. Of course, I couldn't arrive empty-handed, so I made the team some of my famous chocolate-dipped grape fruitypops! Before I arrived, I had sent them my sizes, height, colouring etc., so that their stylist (the lovely Elizabeth) could pick out some suggested outfits for me. The equally fab Hannah, their photographer, really put me at ease once I got there. This experience alone made me realise that losing my weight four years ago had not really made me ever reflect on how I could change my style or colour palettes to suit the new me. I think it's quite common when you lose a few stone that although it's fun to fit into smaller jeans or more fitted clothes, it takes a while for our brains to catch up with the new person we represent from the outside. Many of my personal body hang-ups haven't really gone away. Infact sometimes I still feel like my large old self, 4 1/2 stone (62lbs) heavier than I weigh in today. I've even walked towards myself more than once in shop mirrors because I don't recognise myself! So, Gemini did me a huge favour as they gave me a couple of hours to really try new styles and colours and experiment with what suited me. It was refreshing to have had outfits picked out for me because I probably wouldn't have considered many of the colours, patterns or styles-discarding them before I had even tried them! I can highly recommend this process-especially if you have reached your goal weight and need to find your new personal style. What an incentive to keep the weight off too if you treat yourself to a few key pieces! Here's a link to the feature they wrote about me and it lists all the brands I was wearing in the images with links to the items on their website. You can also sign up to their free newsletter where you will receive a weekly email sharing information and, from April, recipes from little old me! What an exciting new venture for you and the pictures are stunning, you look gorgeous in them! Congratulations. Love the colours you are wearing too, very spring like.